One of the exercises in Management 3.0 is creating a vision using images, stories, metaphors or what-have-you. 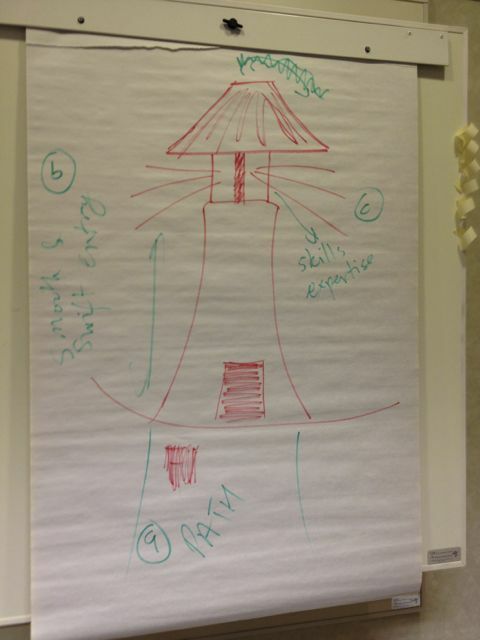 I had run this exercise with the coaching team and our “lighthouse” image because quite popular to the point all of IT started creating theirs. 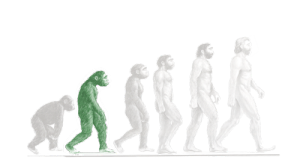 Our coaches felt we were there to guide people to discovering more effective ways of managing work and people. The manager of the coaching group didn’t agree. He felt there should either be a machine gun mounted on top of the lighthouse or the image should be a police boat. 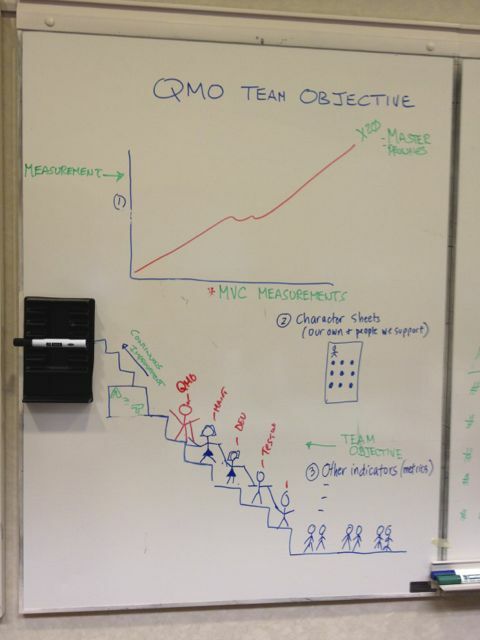 The other half of the coaching team came up with a “steps” metaphor. 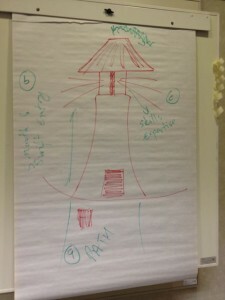 In the end we decided on the lighthouse as being more powerful. We never did convince the manager that a lighthouse was better than a police boat.